Mae Hong Son is a remote sleepy town, nestled deep within the jungle of the Himalaya foothills, near the border of Myanmar. It is a tourist destination during the dry season for local Thai’s, but much less visited by “farangs” such as ourselves. 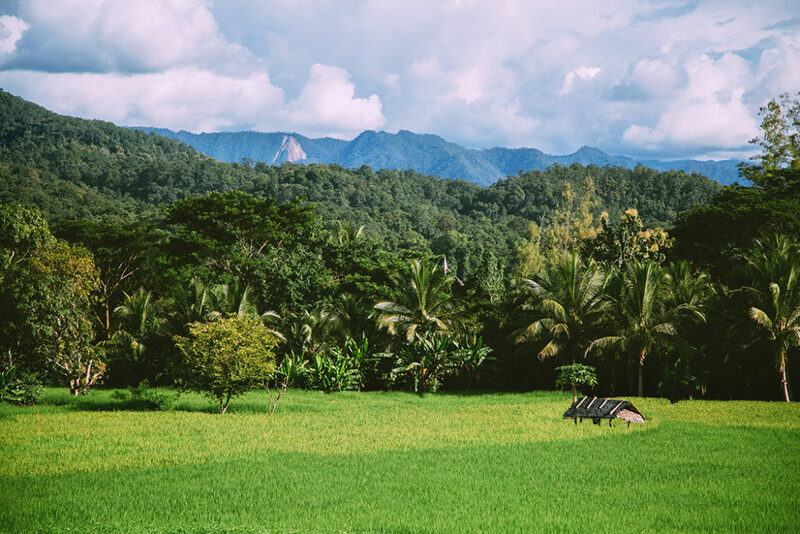 A friend of ours told us that Mae Hong Son stole his heart, and after visiting Pai, a very popular, and very westernized town in northern Thailand, we wanted a taste of something more genuine. View from the city center of Mae Hong Son. Jason and I decided, despite the short time we had to spend there, we would make the most of it. Once we arrived, we hiked our way to the center of town to find accommodation. Immediately we noticed the Burmese influence in this little town. It looked much different than the other places we had visited in Thailand. Most notably the twin temples of Wat Jong Klang and Wat Jong Kham, which are on one end of Jom Kham lake in the center of town. After settling in we wandered around in search of, what else, food! We had heard of some amazing restaurants here. Exploring the small town center, it felt quiet, empty, desolate even. But in an almost fairytale kind of a way. As we were walked along these quiet streets, we peered into peoples houses (Yes I know we are creepers). Through the old style shuttered windows we saw warmly lit homes, with individuals sitting in meditative postures on the floor, bowing their heads in prayer. We made our way across town to a popular local restaurant somewhat outside the center. Closed! 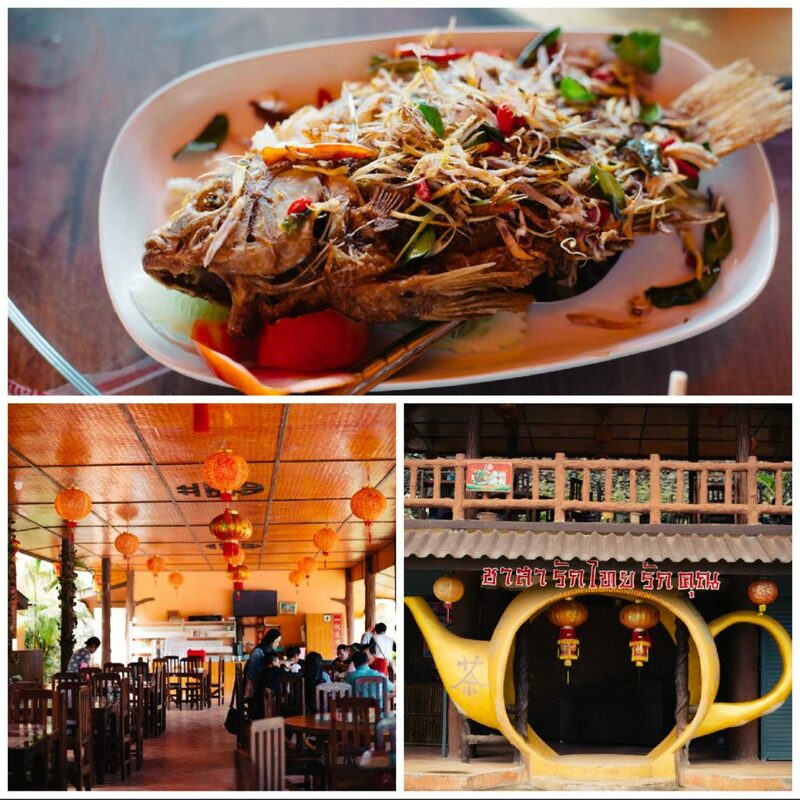 We decided to head to an alternative restaurant back on the Jom Kham Lake. Also Closed. We were starting to wonder why we had such terrible luck it seemed with this town, but just as the sun dipped behind the mountains, we heard chanting across the water, coming from the twin Wats. We finally discovered, we had made it just for the end of Buddhist Lent. Motorbike is our preferred method of transportation. And its cheap at only 150 baht ($6) per day. Waterfalls and dramatic foothills on the Mae Hong Son Loop. 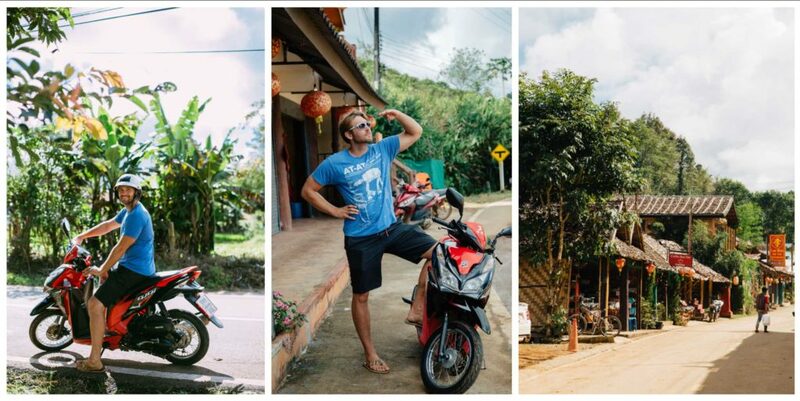 The next morning we hopped on a motorbike, and made our way to Ban Rak Thai. This little village was so close to the Burmese border, I am pretty sure we could throw a “rak” across the border. We wound our way through idyllic little Thai farming villages, perched on green cascading hills. Every turn on the road seemed to unveil even more and more incredible vistas. After a couple of hours on the road, we finally made it to Ban Rak Thai. This little village was beautiful, but seemed a bit less genuine than the other towns we had stopped through. 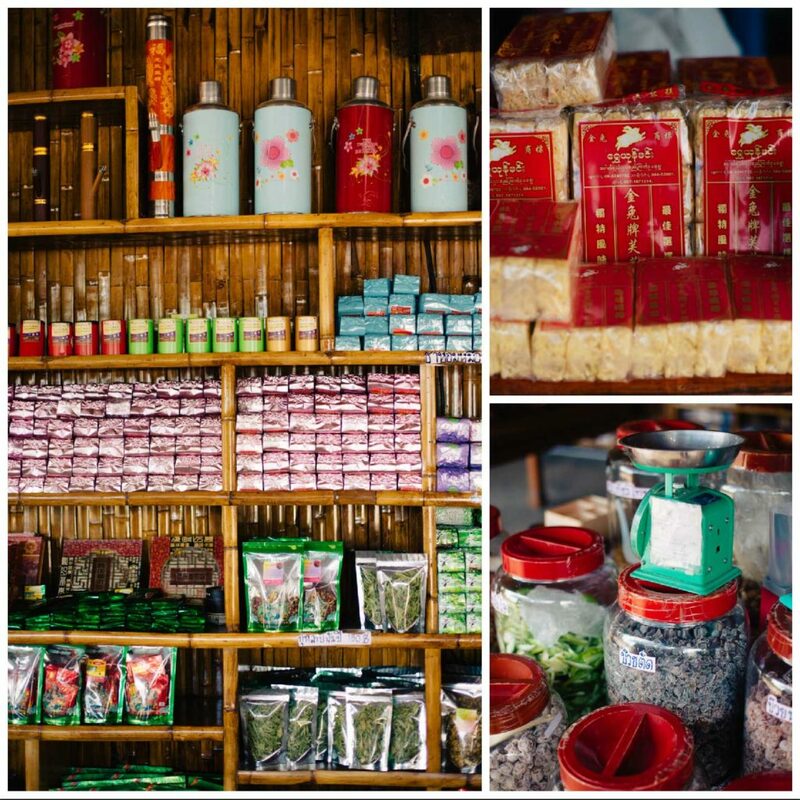 There was one main road, with little shops that sold dried fruits, teas, and even wines made from local fruits. We enjoyed the view and some tea from the top story of a teahouse, along with some traditional Chinese fare before we started heading back to Mae Hong Son. This far north in Thailand, you even see some Chinese influence. 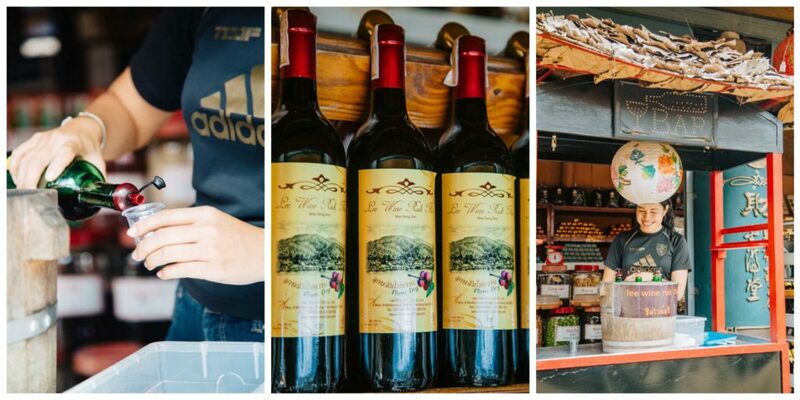 All of the shops sell candied fruits, teas, and locally made wines. Ban Rak Thai Village makes their own wine from locally grown fruits. It was a bit too sweet for my taste, but Jason enjoyed it. Grabbing some delicious local candied fruits. The small, Burmese influenced little village of Ban Rak Thai. On the way back, we decided we had just enough time to stop at the Mud Spa. We were feeling pretty sweaty and disgusting after several days of traveling, humidity, hiking, etc etc, and were entitled to a little pampering. The Phu Klon Mud Spa is mud from a hot spring, that is rich in minerals. Treatments have been compared to having a similar effect as using mud from the dead sea. The local villagers swear that it has Aryuvedic healing and calming affects. Mineral Pool at Phu Klon Mud Spa. We decided that to the tune of $6 a person, we would enjoy a mud facial and a dip in their heated mineral pool. I don’t know if it was the peacefulness of the jungle, having the warm relaxing mineral pool all to ourselves, or even the healing properties of the mud, but after our treatment, I felt amazing. I was relaxed. I felt calm. I had no stress what-so-ever. I was a new woman! Not only that, but I woke up the next morning and I swear to God, my skin was glowing. Maybe it was the simple power of suggestion? I don’t know, and I don’t really care, I would go back there in a heart beat. 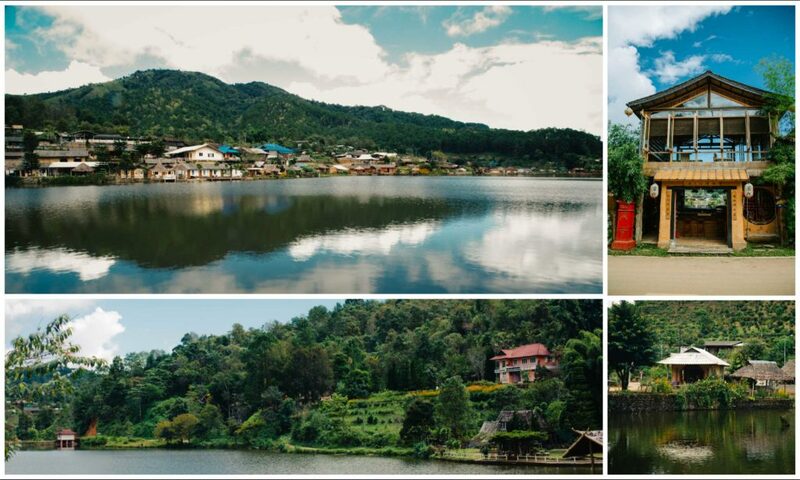 If you find yourself in Mae Hong Son, have a go. 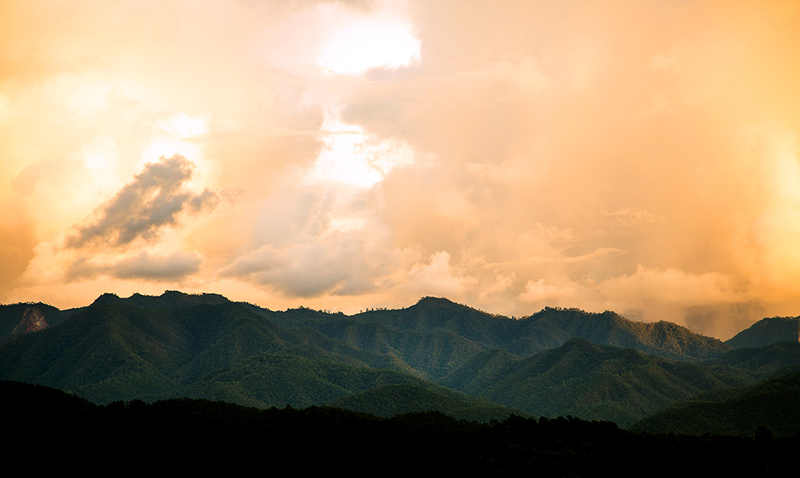 All in all, Mae Hong Son stole our heart as well. I only wish we could have had more time there. There is so much to do and we just barely scratched the surface. But the time we did spend there, felt magical, and I highly recommend taking the long road to get out there. 1 Comment on "Mae Hong Son / A “Hidden” Gem"